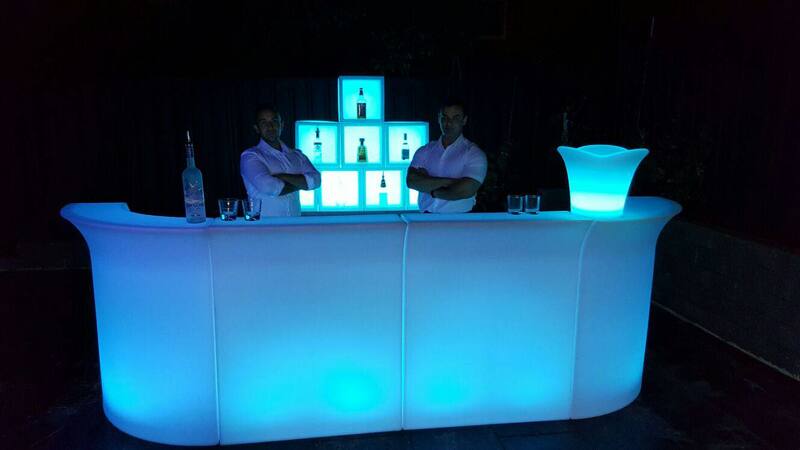 Want a bar that will stand out from the crowd? These are the guys! We are in love with the purple glow bar we ordered from Bar Out. It came with two smart and well dressed young gentleman Alex and Yorgo who were our Bar Tenders for the evening and who put great care and effort into making the drinks a special treat for our guests. Champagne with Rose Petals and carefully crafted Taurus Purple Rain Cocktails with sugar rims and flowers were the highlights!